Singer Omarion and his girlfriend Apryl Jones broke up just 4 months after welcoming their second child together and just last week, it was reported that Omarion recorded a diss track against Apryl. 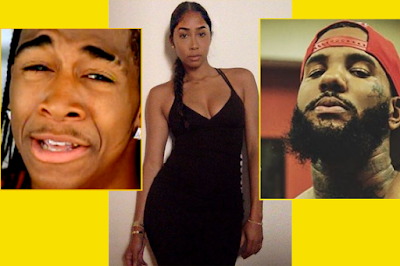 Apryl who hasn't reacted to the diss track, shared a video of herself and her friends partying at rapper The Game's mansion on Monday night. Many of the girls, including Apryl, stayed late into the evening and someone later commented on Twitter that Apryl spent many hours alone with the Game and didn't leave till the next morning.